HAVERING can mark a page in history with the Queen’s Theatre’s latest campaign to show how essential the theatre is to the borough. In the Diamond Jubilee year, a campaign called My Queen’s Theatre, plans to put all our memories between the covers of a monumental Book of Celebration, plotting the progress from the leaking roof of Station Lane, to the prime award winning venue we have today. 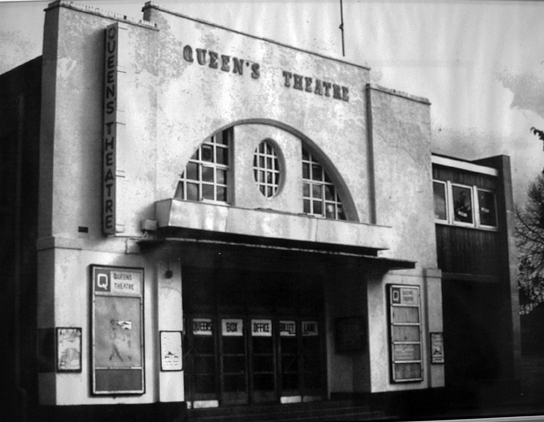 The organisers want to hear from anyone who has; fond memories of pantomime; professional actors who trod the Hornchurch boards; people who saw the new building rising from the ground; patrons who saw the first shows; memories of Royal visits; any photographs and why you fell in love with the Queen’s Theatre. The deadline for material is Friday January 31, 2014. You can email: myqueenstheatre@aueens-theatre.co.uk, tweet on tweeting @QueensTheatreH, Facebook, FourSquare or bring you material to the theatre. THOUGH the first Queen’s Theatre in Station Lane started life as a flea-pit cinema and finally a furniture warehouse, it was soon buzzing with the glitterati of the thespian world. However, life is never that easy and before the empty building could become a venue for performing arts, it took a lot of foresight and courage by Hornchurch Councillors to back it on the rates, making Hornchurch the first local authority to have its own theatre. That said, it was a relatively easy ride when compared to the guerrilla war of words that broke out in 1965 at the sighting of the news Queen’s. Both Councils were often at loggerheads, even dating back to Medieval times when Hornchurch was the richest and primary town due to its tannery. Romford did have its market that came into being in 1247 with a charter from King Henry III. This makes Romford Market 767 years old, and gradually the influence swung to Romford with the decline of the Hornchurch Tannery. It appears that Hornchurch was the more active town, a fact not lost on their neighbours, but the move for Hornchurch to back and subsidise its own theatre was, by all accounts, a bitter pill to swallow for those a few miles up the road. One of the first of many rows for the new Authority, was the need to replace the badly leaking building in Station Lane. At the time the saying was ‘We are a 379 seat theatre – unless it is raining’. The front couple of rows were then occupied by an army of buckets to catch the drips. 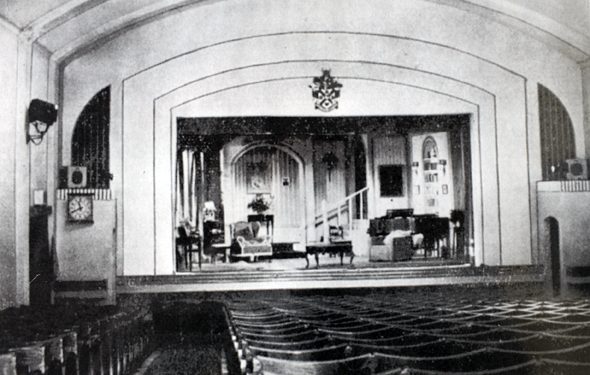 The need for a new theatre became a necessity. The skirmish lines became front line stuff with the new authority rowing through all night sittings before they could make a decision; Build a new theatre or refurbish the old, but it was ‘where’ that caused the trouble. The Romford team saying it had to be in the centre of the main town, but the second town claimed history was on their side having thought of the idea first..
Land cost was the deciding factor with Hornchurch winning. The quality of the theatre attracted rising names such as Anthony Hopkins, Glenda Jackson, Bernard Cribbins and Nigel Hawthorne to name but a few. (pic left. John Halstead in ‘On Your Way Riley’. There have been many battles since, mainly over funding. But to its great credit, Havering Council has remained steadfastly loyal to the theatre and annually provides a major lump sum to the running costs. Also a campaign by the then administrator, Bill Johnston and Artistic Director Bob Carlton, even made the Arts Council of England put up a few bob. So that briefly is the resume of our theatre. I think everyone in Havering looks with great pride at the achievements of the people who keep it running and provide magnificent theatre. This is the chance for us all to add our memories and become a part of the history of our Queen’s Theatre. Details of where to send your material are above.